Pest Control in Rental Properties: Who's Responsible? South Florida’s summer = bugs’ paradise. When we think of summer, we think of bugs. This is the time of year when we get an increase in rain, humidity, and temperature. All of this leads to an increase in insect activity, and a greater need for pest control. 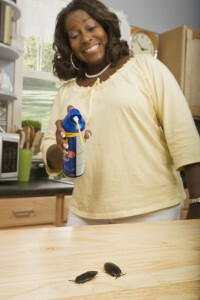 The best time for pest control is before you see roaches, spiders, ants, termites, etc. Being proactive in this area is a good idea, but can often be forgotten about, especially if this is your first rental home and haven’t experienced this problem before. A question that often doesn’t come up until it’s too late -Who’s responsible to provide pest control in a rental property, the tenant or the landlord? 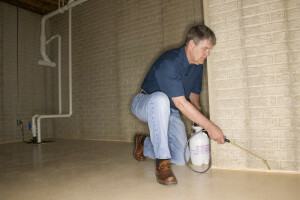 In some states, pest control is mandatory and required by local health code laws. To ensure pest control gets taken care of, some property owners will take responsibility and include the pest control cost in the lease. Others leave the responsibility to the tenants. Whatever your choice, make sure you have outlined the responsibility in your lease and have the tenant “sign off” on it. In some states, pest control is mandatory and required by local health code laws, especially if your rental property is multi-family since infestations are harder to control in properties that house more than one family. If you aren’t sure of your local laws regarding pest control, we are here to help. Real Property Management is the leader in professional property management which means, we are here to provide you with the best service, knowledge, and expertise in the industry.